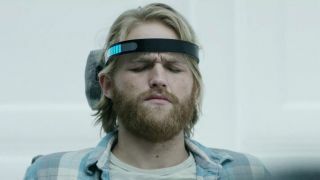 There are a lot of gaming parallels between Black Mirror's tech flavoured nightmares on Netflix. That's not surprising, as creator and writer Charlie Brooker used to review games when he first started out. In the new season alone the second episode Playtest deals with VR gone horribly wrong, while Men Against Fire was another altered reality idea about soldiers fed 'corrected images to make it easier for them to kill' (more or less the plot to PS3's Haze). Now Brooker's been playing PS VR. And I think he likes it. He's cautious about a few things though. But, as you can tell, he's pro the whole thing overall.